Right now, I’m typing this on Friday afternoon…and two things are happening in my brain. 1. I don’t want to think about Monday (by the time you read this, the weekend will be over! Boohooooooo!!!). 2. 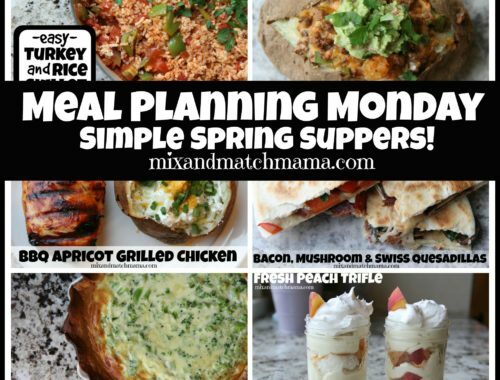 I’m hungry and need a snack (Trader Joe’s hummus, anyone?) 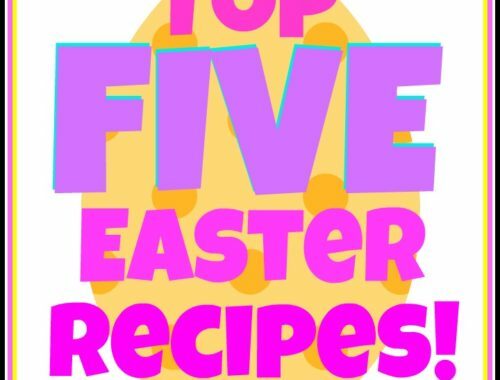 because looking through all of these recipes has my stomach GROWLING! 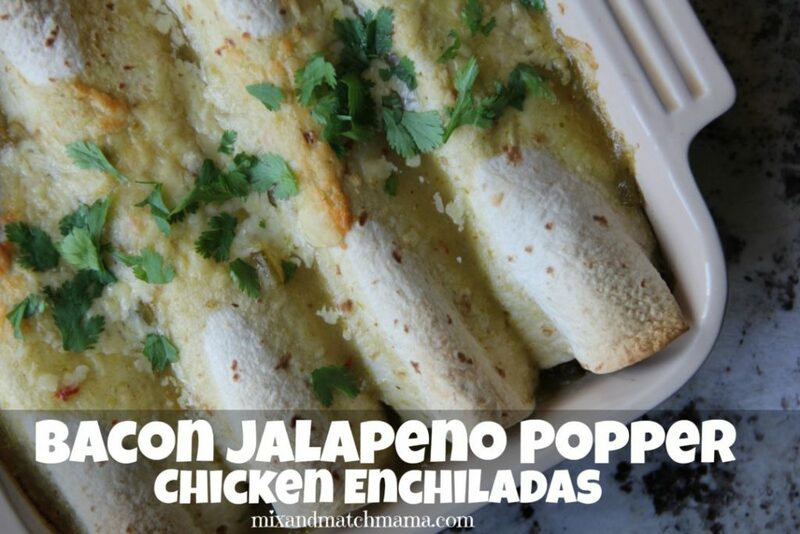 Mmmmmmm…my Bacon Jalapeno Popper Chicken Enchiladas are seriously easy enough for a Monday night. I promise. 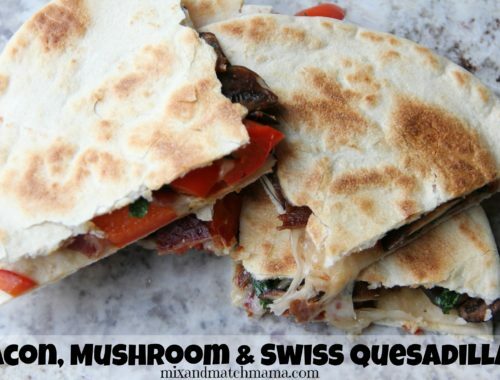 And they’re totally delish! Do you guys make crab cakes at home? It’s one of our spring/summer staples! We love to bake these babies up and have them for supper. 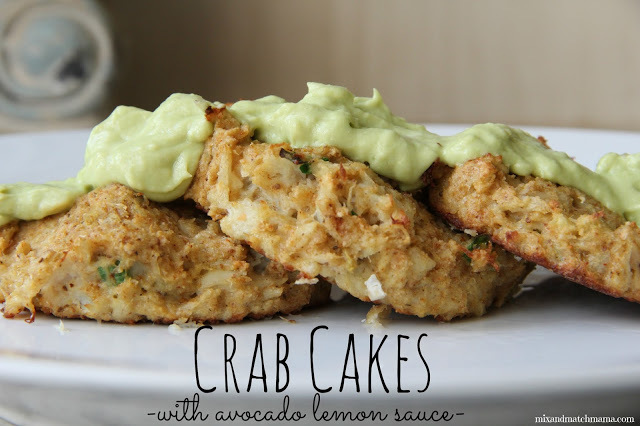 My Crab Cakes with Avocado Lemon Sauce WILL NOT disappoint! 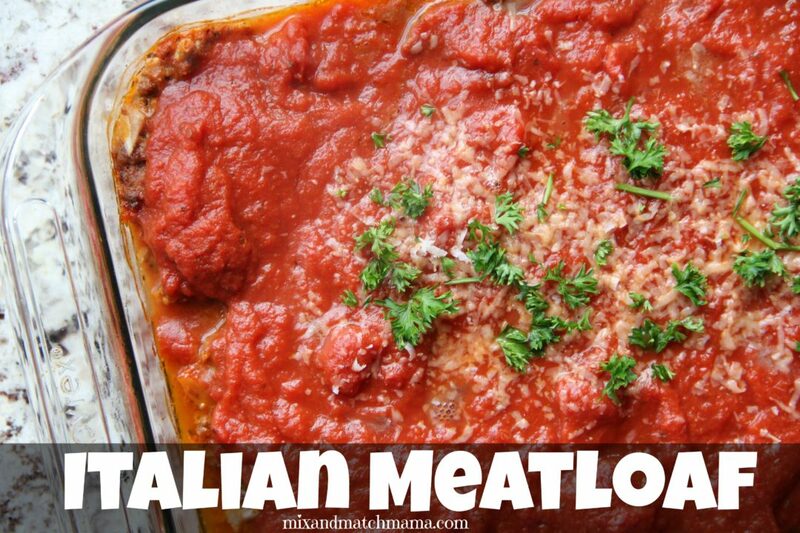 Because my Italian Meatloaf is always a winner. 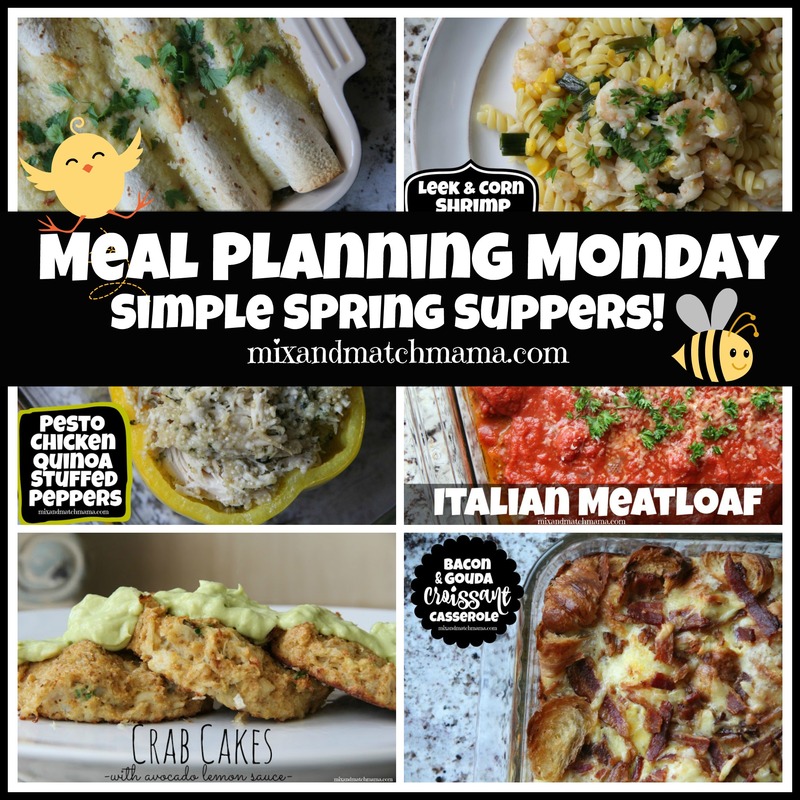 And on Hump Day, we need #winning recipes 🙂 . ‘Tis leek season!! I love cooking with leeks because they’re flavorful yet mild (and super simple to cook up!). My Leek & Corn Shrimp Pasta will be a regular on your rotation! 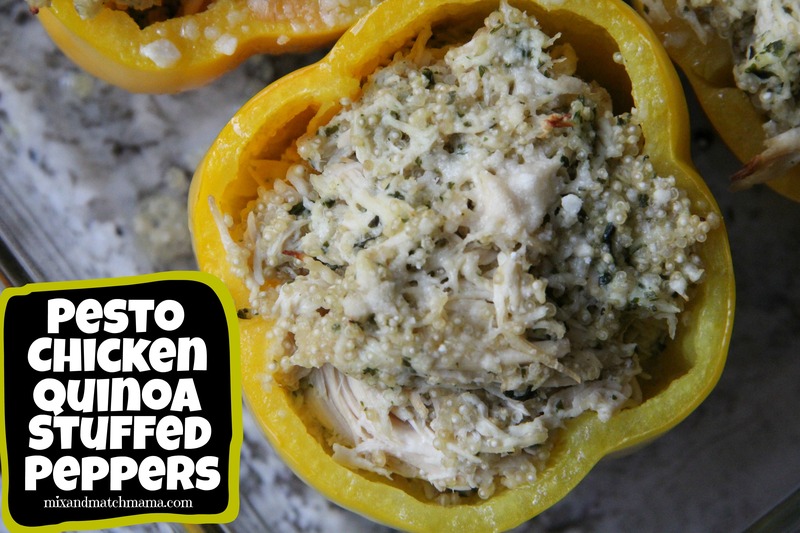 Last week, I shared my Pesto Chicken Quinoa Stuffed Peppers and the feedback was fantastic! Several of you already made them and loved them as much as we do. 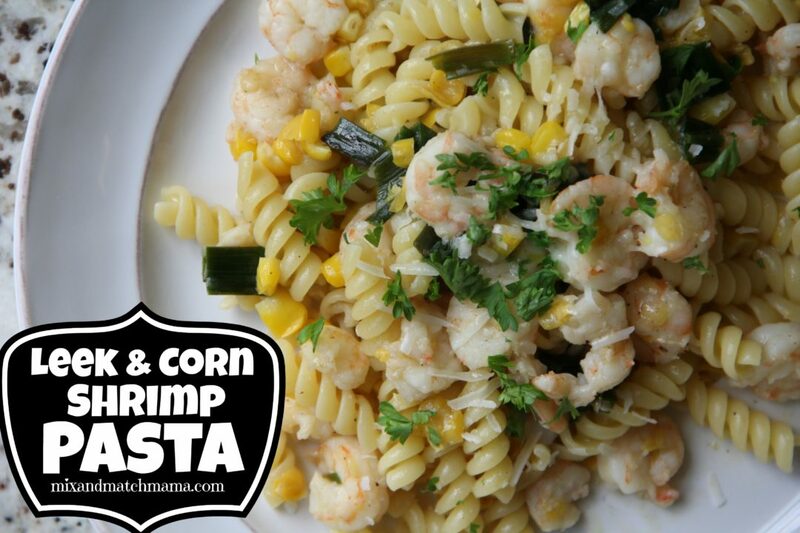 They’d go great with a side of Friday! 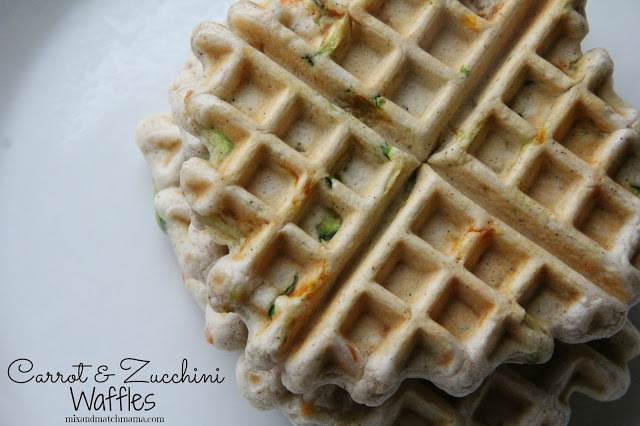 Carrot and Zucchini Waffles…because it’s Spring 🙂 . 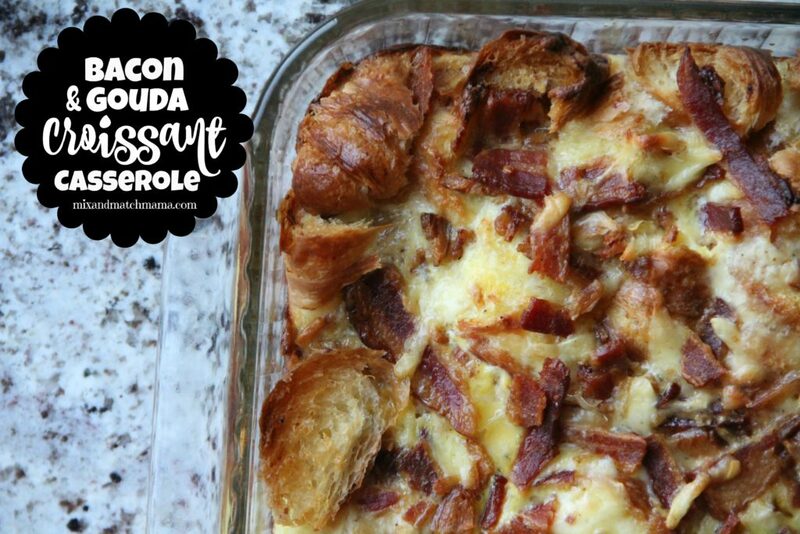 Annnnnnd friends, I don’t want to be dramatic or anything, but my Bacon & Gouda Croissant Casserole will be the best thing you ever eat. Ever. Too dramatic? I think not. You must try this! Well this menu looks absolutely fantastic. 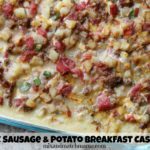 That breakfast casserole is calling my name! I am trying your sloppy joe recipe tonight for the first time. 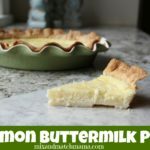 Keeping my fingers crossed that it becomes a new family fave for my picky eaters. That’s what we’re having tonight too!!! !